Background Paper-based patient decision aids generally present risk information using numbers and/or static images. However, limited psychological research has suggested that when people interactively graph risk information, they process the statistics more actively, making the information more available for decision making. Such interactive tools could potentially be incorporated in a new generation of Web-based decision aids.Objective The objective of our study was to investigate whether interactive graphics detailing the risk of side effects of two treatments improve knowledge and decision making over standard risk graphics.Methods A total of 3371 members of a demographically diverse Internet panel viewed a hypothetical scenario about two hypothetical treatments for thyroid cancer. 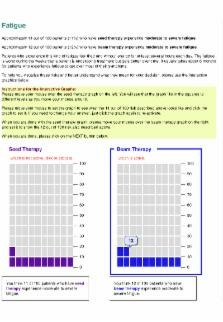 Each treatment had a chance of causing 1 of 2 side effects, but we randomly varied whether one treatment was better on both dimensions (strong dominance condition), slightly better on only one dimension (mild dominance condition), or better on one dimension but worse on the other (trade-off condition) than the other treatment. We also varied whether respondents passively viewed the risk information in static pictograph (icon array) images or actively manipulated the information by using interactive Flash-based animations of “fill-in-the-blank” pictographs. Our primary hypothesis was that active manipulation would increase respondents’ ability to recognize dominance (when available) and choose the better treatment.Results The interactive risk graphic conditions had significantly worse survey completion rates (1110/1695, 65.5% vs 1316/1659, 79.3%, P < .001) than the static image conditions. In addition, respondents using interactive graphs were less likely to recognize and select the dominant treatment option (234/380, 61.6% vs 343/465, 73.8%, P < .001 in the strong dominance condition). Conclusions Interactivity, however visually appealing, can both add to respondent burden and distract people from understanding relevant statistical information. Decision-aid developers need to be aware that interactive risk presentations may create worse outcomes than presentations of static risk graphic formats. Quantitative information about risks and benefits may be meaningful only to patients who have some facility with basic probability and numerical concepts, a construct called numeracy. To assess the relation between numeracy and the ability to make use of typical risk reduction expressions about the benefit of screening mammography. Randomized, cross-sectional survey. A simple random sample of 500 female veterans drawn from a New England registry. One of four questionnaires, which differed only in how the same information on average risk reduction with mammography was presented. Numeracy was scored as the total number of correct responses to three simple tasks. Participants estimated their risk for death from breast cancer with and without mammography. Accuracy was judged as each woman's ability to adjust her perceived risk in accordance with the risk reduction data presented. 61% of eligible women completed the questionnaire. The median age of these women was 68 years (range, 27 to 88 years), and 96% were high school graduates. Both accuracy in applying risk reduction information and numeracy were poor (one third of respondents thought that 1000 flips of a fair coin would result in < 300 heads). Accuracy was strongly related to numeracy: The accuracy rate was 5.8% (95% CI, 0.8% to 10.7%) for a numeracy score of 0, 8.9% (CI, 2.5% to 15.3%) for a score of 1, 23.7% (CI, 13.9% to 33.5%) for a score of 2, and 40% (CI, 25.1% to 54.9%) for a score of 3. Regardless of how information was presented, numeracy was strongly related to accurately gauging the benefit of mammography. More effective formats are needed to communicate quantitative information about risks and benefits. Copyright statement: ©Brian J Zikmund-Fisher, Mark Dickson, Holly O Witteman. Originally published in the Journal of Medical Internet Research (http://www.jmir.org), 25.08.2011. Effects of game-like interactive graphics on risk perceptions and decisions. Risk communication and older people-understanding of probability and risk information by medical inpatients aged 75 years and older.